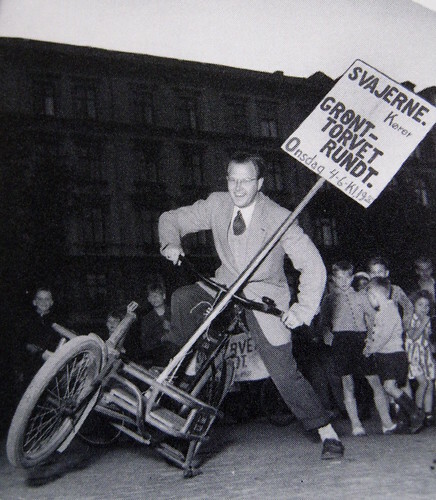 Historical photo of a rolling advert for the Svajerløb - the bike messenger races - back in the 1940's. 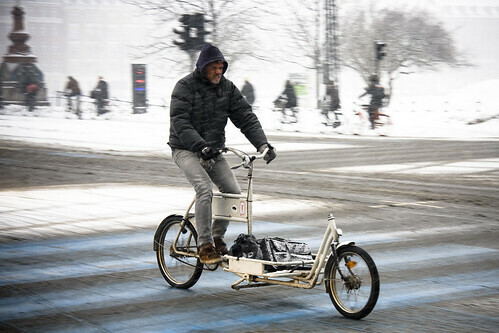 A sign attached onto that iconic cargo bike - The Long John. Here's a Long John in action the other day.